If you would like to help us with our Bike Pool and/or Bike Hire schemes, please do not hesitate to contact Transition at transition@st-andrews.ac.uk or 01334 464000. Our Bike Pool volunteers gain experience and skills whilst helping to keep this non-profit in the business of helping people cycle. Our Bike Loan Scheme aims to provide you with quality “refurbished” bikes for long term, low cost rental. 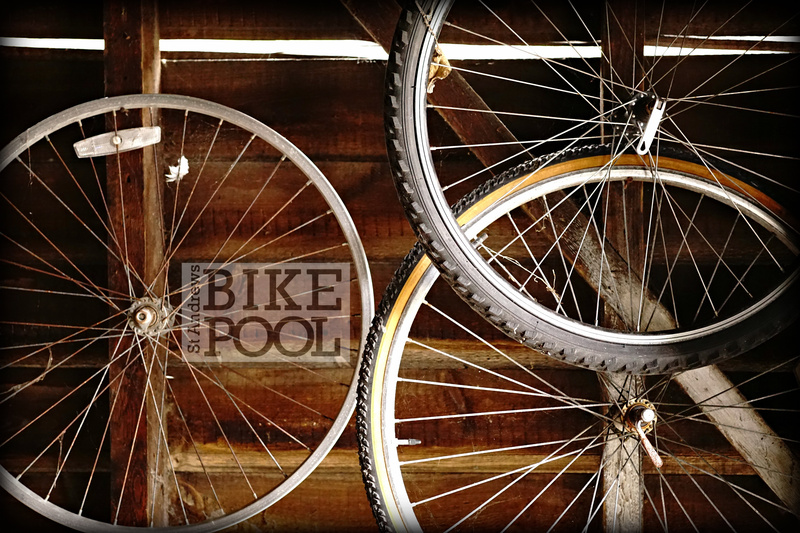 Each of our bikes is unique, having been donated to our pool by other cyclists. These are then re-furbished up to a good standard by volunteers assisted by a professional bike mechanic so that they are safe, roadworthy and efficient. 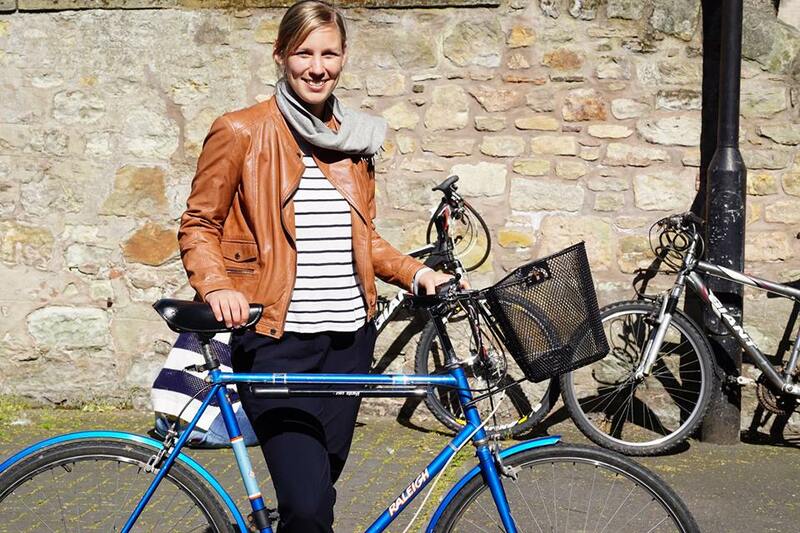 Deposit – We hold a £50 deposit against each bike hired. This will be returned to you within 5 days once the bikes, helmet and locks have been returned. Only if there are signs of damage or loss will there be any charge against the deposit. Wear and tear are not charged for and we encourage you to cycle as far as possible. Short Term Rental: During Summer and Winter breaks, bikes are available for short term hire to conferences and individuals who are guests at a University Hall or visiting as staff. Long Term Rental: Bikes are available for long term hire during term-time for a minimum of three months. If you require it longer, just ask! As part of this low cost rental agreement we ask that you bring your bike along to at least one bike maintenance session each term. You can see where and when these are on our Bike Pool Facebook page, but we will also send out regular reminders through our Transition mailing list (see Transition Home page to register). These FREE sessions aim to teach cyclists how to maintain their bikes in an efficient and safe way so that you get the best from your bike and also retain your deposit when you return it to us. All renters must agree to our Bike Rental Agreement on renting out a bicycle (outlined below). For each rented bike two additional costs are required: a £50 deposit, and an additional £20 refundable maintenance fee if the renter attends two or more Bike Pool maintenance sessions. Both deposit and maintenance fee will be returned to renter after the return of the bicycle. These costs will be returned in accordance with the following Bike Rental Agreement. We are very sorry, but we do not hold a waiting list. If you could sign up for a free account via our MyTurn system, this will make the rental process quicker on the day. Make sure to bring a debit card that is valid to use in the UK. No cash payments, thank you. We have a huge range of bikes. That means you can find a bike to suit your size and preference. We have a selection of fold-up, mountain, hybrid and road bikes. Each bike has been refurbished by a team of volunteers overseen by a bike mechanic expert to ensure they are safe, efficient and reliable. Bikes are categorised as ‘low’, ‘medium’ or ‘high’ quality. They are priced accordingly (see above). All our hire bikes include bike lights, helmets and cycle lock so you are ready to go! Where can I hire from? We hold Bike Hire Out events, typically at the beginning of each semester. To see if there is a Bike Hire Out session happening soon, see here. If no sessions have been planned in the near future, please email transition@st-andrews.ac.uk, to check if we have any availability. Short term summer rentals are based from the Transition UStA office at 7 Woodburn Place, East Sands. Just email or phone Transition (01334 464000) to check bike availability and arrange a time for pick up before paying. Your deposit and rental charge will be paid via Transition’s My Turn Account. Please register for an account via this system. Available bikes and their descriptions are shown on our inventory. You can filter bikes by frame type, size and type (electric, mountain, town, road etc.). Unfortunately you cannot pre-book or pay for a bicycle at this time, but come along to one of our bike loan out sessions, and we will rent you out a bike. All payments must be made via an online card payment. We cannot process any payments via cash, as we find it too difficult to return deposits this way. Thank you for your understanding. Your deposit will be returned within five days of the bike being returned and condition verified. By paying for the hire of our bikes you have entered into an agreement with us as follows. The bike belongs to St Andrews Bike Pool (a Transition UStA project), and is being rented out by Cyclepath on their behalf. (iii) providing a replacement if the bike is unusable due to a mechanical fault. (v) returning the bike at the end of the term in a useable condition. In line with the £20 refundable maintenance fee that is paid upfront prior to renting, each renter agrees to attend at least two Bike Pool ‘Fix-your-Own’ sessions during the period of rental; these are publicized on the ‘St Andrews Bike Pool’ Facebook page and Transition website. The Renter also agrees not to cycle their Bike Pool bike on the beach. Failure to meet these responsibilities will result in the loss of some of the deposit (up to the maximum of £50) and the refundable maintenance fee. Damage to bicycle will be charged according to the cost of replacement parts and an hourly rate of £15 up to a maximum of your full deposit. NB: Damage due to wear and tear is not charged. The deposit of £50 will be returned in full if the bike is returned in usable condition. The £20 maintenance fee will be returned in full if the renter attends two or more Bike Pool maintenance sessions. Email transition@st-andrews.ac.uk or phone us on 01334 464000.